So, last year, as part of my Dark Dates series, I wrote a little story about a killer preying on London’s homeless. It was in part an entirely selfish act – I wanted to publish a short story that I could include in a Christmas ‘free promotion’ on Amazon – but it was also inspired by a friend’s work with Crisis, the charity which provides food, shelter and other services to thousands of homeless people over the festive season. Like many people I’d noticed that, post-recession and in our new ‘austerity’ regime, homelessness in London seems to have got worse – take a walk down the Strand after dark, if you don’t believe me, and you’ll see that almost every shop doorway has been transformed into an impromptu resting place, a jumble of cardboard and sleeping bags. I hoped the story would, in my small and limited way, raise awareness of the charities working with the homeless (including those specialising in young, LGBT homelessness, still a depressingly common problem). I made a donation to a couple of charities, salved my conscience, and then – other than occasionally buying a copy of the Big Issue or chucking a quid into someone’s paper collecting cup – I didn’t really do anything else. Because the truth is, I’m not cut out for charity fundraising. I’m too lazy/unfit to run a marathon, I’m too easily embarrassed to take part in any Children in Need type shenanigans, and I’m way too much of a lush to give up booze for a month, no matter how worthy the charity (it possibly says a lot about my friends that the brave soul who went sober for October was greeted with far more awe-struck comments than those who manage a marathon, but let’s move on). But, y’know, I can write, and it’s possibly taken me too long to realise that I can use that to make a contribution – even a really, really small one – to causes I care about. And homelessness has preyed on my mind a lot this winter because, to all intents and purposes, I spent much of this year homeless. Not – mercifully – ‘sleeping on the streets with all my worldly belongings’ homeless, but without a place to call my own, pretty much living out of a suitcase. The only reason for this is luck. It was bad luck I had to leave my flat after 10 years, sure, and that my mum died unexpectedly just after I moved out, thus necessitating a long stay at the other end of the county, and wrecking any house hunting schedule, but I was also lucky that I’d worked in a job that allowed me to amass modest savings (though you quickly realise just how modest your savings are when landlords say that, because you’re self-employed, they want 6 months’ rent up front as a deposit) and I had strong network of generous friends who opened their homes to me, offering me their spare rooms, their sofas, and even the free run of their houses while they were on holiday. Trust me, you don’t know what real friendship is until someone gives you a set of their house keys and promises you they’ll never see you sleep on the streets or even reduced to spending your rental deposit on a hotel room because you’re desperate (I am, in fact, welling up just thinking about this, so touched was I by the boundless kindness I experienced). But even with how lucky I was, I can tell you this; it was exhausting, and stressful, and lonely, and not a little humiliating. When a big chunk of your energy is spent planning your schedule around where you will be able to sleep – and often not knowing more than a few days in advance where that will be – then the rest of your life pretty much goes to hell. And that’s me, with the lovely friends, the freelance job I can do from anywhere I can plug into wifi, the flexibility of having no ties and no responsibilities to anyone but myself. I simply can’t imagine what it must be like not to have that safety net, but I can imagine how quickly and easily someone can fall through the cracks and end up in a position it feels impossible to ever recover from. So, since I can’t run a marathon, and frankly, have no intention of giving up booze, and really have absolutely no other discernible/marketable talents whatsoever, my contribution to this worthy cause will be by necessity small. And because I know many of you will be totally charitied out – especially so soon after Movember, and Children in Need, and probably having donated to those charities dealing with the devastating aftermath of Haiyan – I’m setting my targets pretty low. If, of course, you think this is ego stroking self-publicity by a vain writer, but still want to donate to a worthy cause, I won’t be offended, honest! You can donate at these links. St Mungo’s also ask that you tell them about rough sleepers who may be in danger in this cold weather so they can help (see link below). 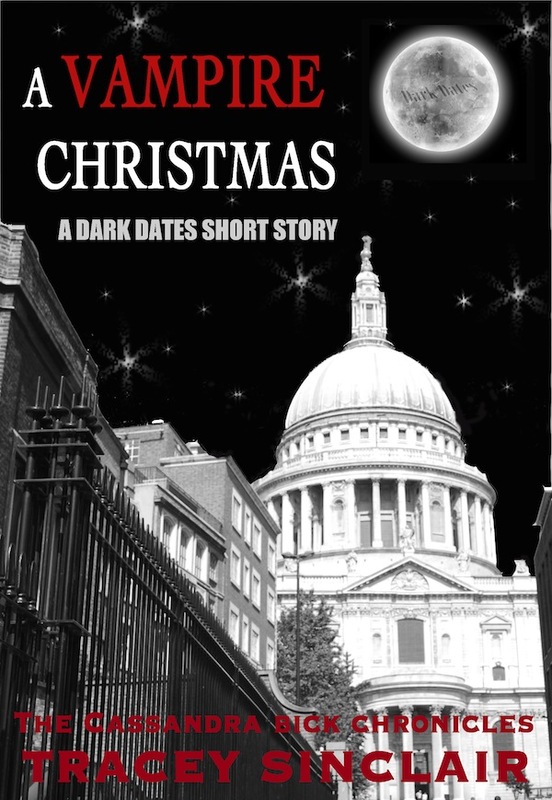 This entry was posted in Uncategorized and tagged charity, short story, Vampire Christmas. Bookmark the permalink.